The precarious state of our pension system is rarely far from the headlines in the UK. Between stagnating wages, an ageing population, and the state pension age creeping higher every year, the prospects for comfortable retirement are looking less and less likely for Brits. Now a new YouGov survey reveals the extent to which the public fear for their financial insecurity in old age – and what they plan to do if they don’t have enough money to live on. 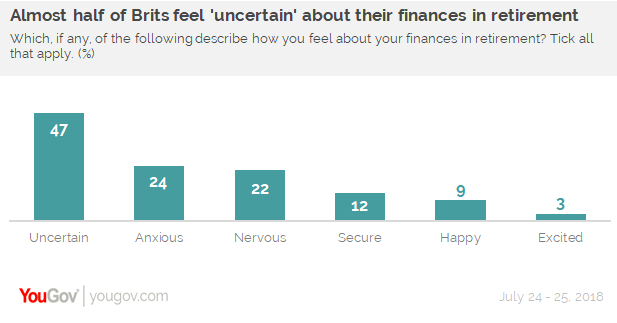 Almost half (47%) of Brits report feeling ‘uncertain’ about their finances in retirement. A quarter (24%) say they feel ‘anxious’, and over a fifth (22%) are ‘nervous’. Just one in eight (12%) feel ‘secure’. Women are consistently more likely than men to feel negative about their prospects: they are more likely to report feeling nervous (25%, vs 19% of men), anxious (28% vs 21%), and uncertain (49% vs 45%) about their finances in retirement, and less likely to feel secure (9%, vs 14% of men). Their concern is not necessarily unfounded: a report earlier this month on the ‘gender pension gap’ found that women are likely to end up with significantly less in their pension pots than men as a result of moving to part-time work to care for children or ageing family members. 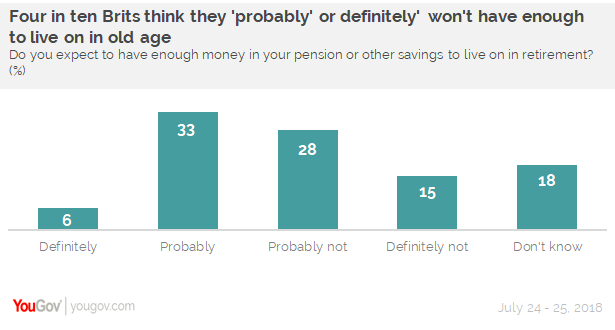 Two in five Brits (42%) feel they &apos;probably&apos; or &apos;definitely&apos; won&apos;t have enough money to live on from pensions and other savings when they retire. Only 6% say they think they definitely will have enough, and one third (33%) that they probably will. Just under one in five (18%) don&apos;t know. Working class people are significantly more doubtful about their finances in retirement, with half (50% of the C2DE demographic group) saying they probably or definitely won&apos;t have enough to live on, compared to just under four in ten (37%) of middle class people (the ABC1 demographic group). In line with their greater gloominess about their retirement funds, women are more likely than men to feel they probably or definitely won&apos;t have enough money to live on (46% vs 39%). Though the media often report that young people will not have enough to live on when they retire, Britain’s youngest are the least concerned about their retirement. Just a third (32%) of 18 to 24 year olds say they don’t think they’ll have enough to live on, compared to almost half (45-49%) of those aged between 25 and 54. 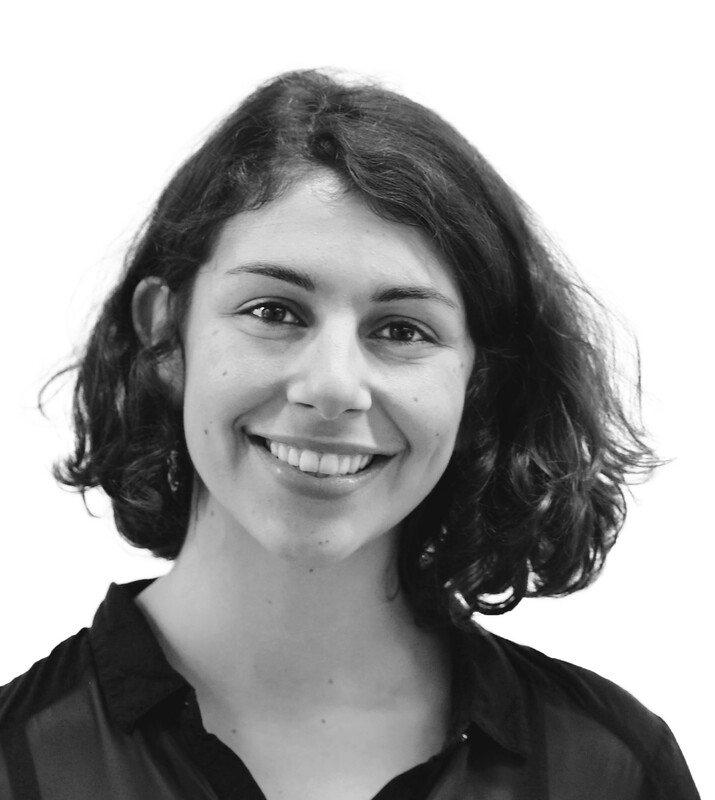 People who are separated or divorced are by far the most doubtful about their financial futures, with six in ten (59%) of respondents saying they probably or definitely won&apos;t have enough to live on, compared to less than four in ten (38%) of married people, and of those who never married (42%). With so many Brits predicting a financial shortfall in old age, how many of them have a game plan to fall back on if pensions and savings aren’t enough to get by? The most common way people expect to deal with a gap in their finances in retirement is simply reducing living costs: almost half (46%) of those who say they won’t have enough to live on expect they will have to cut their expenditure. 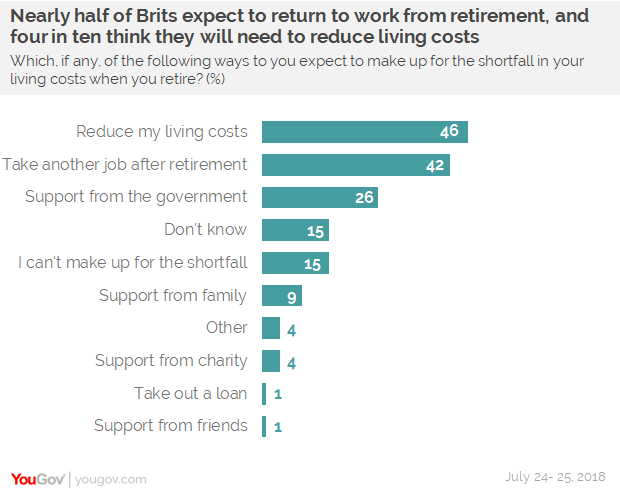 However, four in ten (42%) expect they will have to return to work – effectively implying that the concept of retirement is not something they will be able to afford. Just over a quarter (26%) expect to fill the shortfall through support from the government beyond their state pension – i.e. pension credits, fuel payments, winter allowance and so on. Only one in ten (9%) think they will be able to rely on support from family to make up for the shortfall, though women are more likely to feel they will able to do so (12% vs 7%). Perhaps most worryingly, three in ten (30%) don’t have a plan for closing the financial gap at all, acknowledging that they either do not have a way to make up for the shortfall (15%) or that they just don’t know where the money will come from (15%).